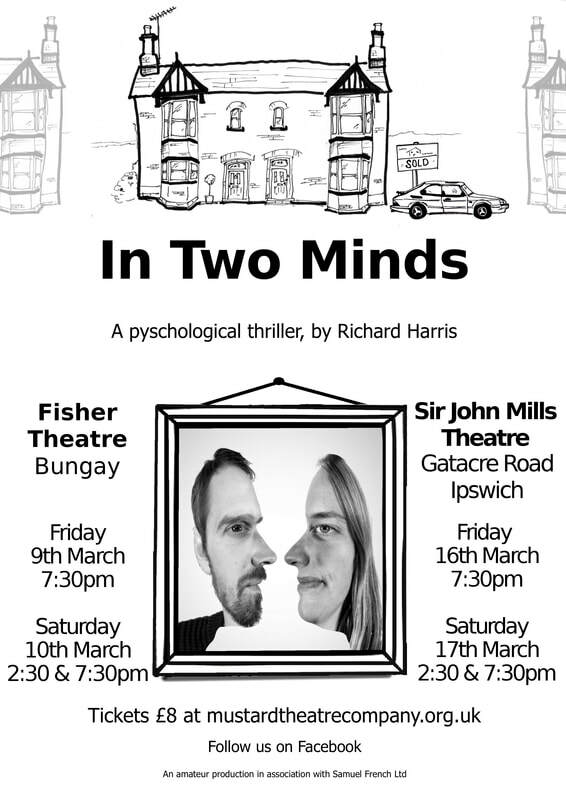 “In Two Minds” is a psychological thriller, with a hint of comedy, it tells the tale of David and new partner, Annie, who have moved happily into a Victorian house where the vendor has emigrated, leaving furniture and a welcoming bottle of champagne. But strange events cause David's negative thoughts to rise. Their vaguely sinister neighbour is married but where is his wife? Women's clothing is found burnt in a garden incinerator. David seems ready to accuse everyone of everything. Annie can cope with his doubts and insecurities, but will his suspicious mind drive them apart? This play is sure to keep audiences guessing up to the very last minute. Our cast found the story total compelling when they read it for the first time and they are committed to bringing that tension to their performances. Richard Harris is best known for his award-winning comedies “Stepping Out” and “Outside Edge”.